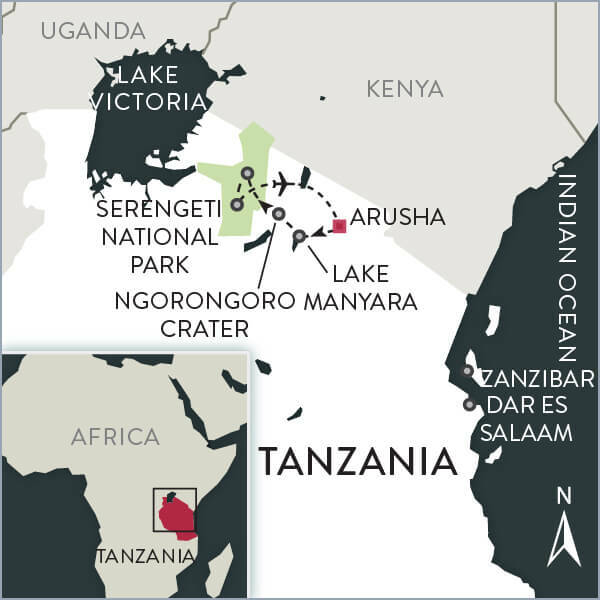 The mountains and plains of Tanzania — the Great Rift Valley, the Ngorongoro Crater, and of course, the Serengeti itself — are vibrantly alive. Here, everything that is Africa converges in a beautiful display from the remarkable variety and sheer numbers of wild animals, to the epic landscapes that inspired the writings of Isak Dinesen, to the rich culture of the Maasai, who proudly maintain traditions while finding their way in the modern world. Our Great Migration Safari takes in the wonders of these places at a relaxed pace, which allows us plenty of time to come to understand what has drawn travelers to East Africa for generations. Days of exploring the savannah and sparkling lakes are paired with evenings in grand African lodges, where a warm fire crackles and guests gather to swap stories of the day. In the Serengeti, our luxury tented camp allows us to be close to the action. 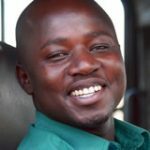 Whether you come for the wildlife, the scenery, or the culture, it is the things that are impossible to predict — a pride of lionesses on the hunt, a rainbow breaking over a herd of elephants, or the thrilled grin of a child for the simple gift of a pencil — that will stay with you long after you leave Tanzania. 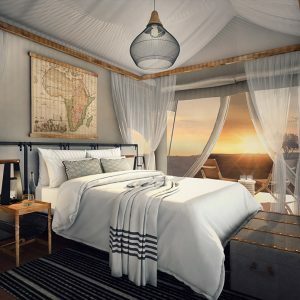 From the shores of Lake Manyara to the wildlife wonderland of the Ngorongoro Crater, this luxury lodge-based safari will introduce you to the Africa of your dreams. 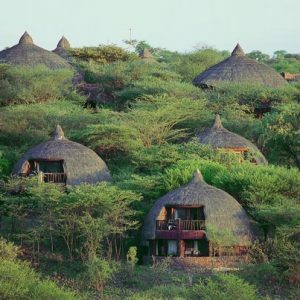 We’ll dedicate plenty of time to encountering the vast herds of the Serengeti from a well-located lodge and a deluxe seasonal tented camp reminiscent of the days of African explorers. Exploring Lake Manyara National Park, filled with flamingos, hippo pools, and tree-climbing lions; a setting once said by Ernest Hemingway to be "the loveliest I had seen in Africa"
The massive herds of the Serengeti are a sight to behold; whether amassed in the south to have their babies from December-March, or making their way north from June-July in the Western Corridor, or crossing the great rivers of the north from August-October. Upon arrival of your flight to Kilimanjaro International Airport, you are met by a Boundless Journeys representative who will transfer you to our lodge, set quietly beside Lake Duluti on the grounds of a former coffee plantation on the outskirts of Arusha. Upon arrival to the lodge, you are greeted by a friendly staff, offering refreshments before turning in to rest after your travels. Nestled at the foot of the wooded slopes of Mount Meru, this unique hotel stands amid coffee plantations on the shores of tranquil Lake Duluti. 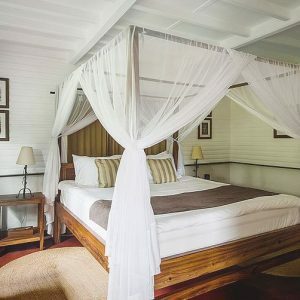 Designed to echo the traditional style of the colonial coffee farm which originally stood on this site, Arusha Serena Hotel & Spa offers tastefully presented cottage-style rooms set amid extensive landscaped grounds. After a pre-safari briefing, we depart Arusha, driving across the Maasai Steppe. This expansive area of grassland dotted with trees is populated with various tribal peoples, predominantly Maasai, whose historically pastoral lifestyle is in some cases evolving into subsistence farming. Some villages have built up into small towns, and we'll take time to stop for a glimpse at modern African village life. We'll board small, motorized tuk-tuks, the primary mode of transportation in the area, allowing us to venture into farmlands, past village churches and schools. Along the way you'll get an inside look at village life, perhaps even trying the locally brewed banana beer along the way. This afternoon we continue on, entering the Great Rift Valley, where Earth's plates are separating. This geologic phenomenon allows for the formation of volcanoes in the region - one reason the Serengeti supports such a unique ecosystem. 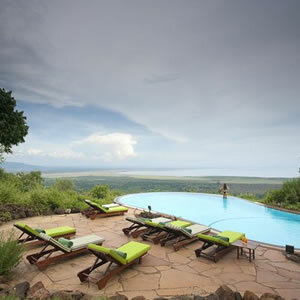 We ascend the Rift Valley escarpment to our lodge for the night, beautifully set high above Lake Manyara. Perched on the edge of a towering escarpment overlooking the sparkling waters of Lake Manyara, Lake Manyara Serena Lodge is designed around this panoramic scene. The lodge features a simple timbered reception area, built in traditional African style, a dining room, bar and veranda, below which lies the pool. Each circular rondavel-style room offers spectacular views over the lake. Even though Lake Manyara is one of Tanzania's smaller national parks, its jungle-like forest and immense "soda lake" support a great variety of wildlife. Upon entering the park, those looking for a bit of active adventure can enjoy a canopy walk. This quarter-mile walk starts with a boardwalk that gradually rises from ground level up through the canopy of the forest. You'll continue along a series of suspension bridges with thick netting on the sides, reaching a top height of about 35 feet off the ground. Treetop platforms are perfect places to stop and enjoy life in the canopy amongst butterflies, monkeys, and birds. We continue on into the park, slowly making our way and encountering pools full of hippos, and forest full of dainty gazelles and graceful giraffes meandering through the tall grass. 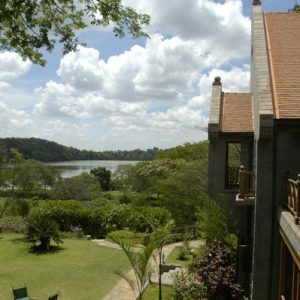 We enjoy lunch at a viewpoint overlooking the lake, spying on animals through binoculars and scanning the trees for elusive tree-climbing lions. Leaving Manyara, we continue through the Rift Valley, stopping at the home of Daniel Tewa. Mzee Daniel Tewa is an elder of the Iraqw (pronounced Irow) tribe, and the history of his people comes alive in incredible stories in which he takes on the role of hunter, bride, warrior and family member. This afternoon we drive to the rim of the Ngorongoro Crater, a volcanic caldera that is home to a huge concentration of wildlife, including the 'big five': elephant, buffalo, leopard, lion, and rhinoceros. 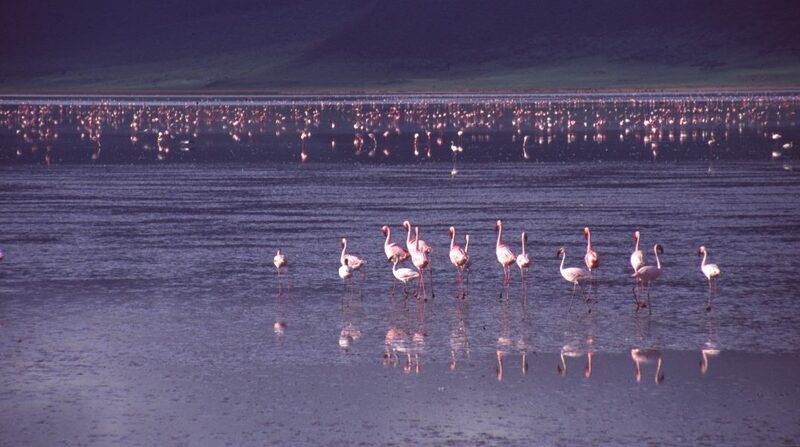 One of seven UNESCO World Heritage Sites designated in Tanzania, Ngorongoro is the world's largest unflooded caldera. While only 100 square miles in area, the crater is home to six distinct habitats: acacia forest, swamp, short grass plains, long grass plains, rivers, and woodland, with each habitat attracting a variety of animals. The rim of the crater reaches 7,800 feet in altitude and the crater floor rests at 5,000 feet. Home to almost 30,000 animals in an area naturally enclosed by the slopes of the volcano, this is the best location in Tanzania for viewing black rhinoceros and huge, old bull elephants. There is not enough vegetation to support the large cow and calf herds, but the old male elephants 'retire' to the crater for the lush swamp grass and acacia forest. The only Tanzanian game not seen in the crater are impala and giraffe. It is not known why impala do not inhabit the crater, but giraffe are unable to descend the steep grade without lowering their heads, which raises their blood pressure to dangerous levels. 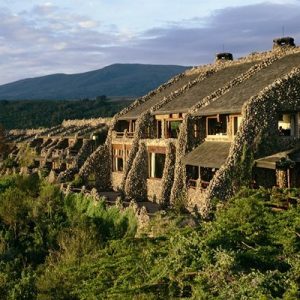 By late afternoon, we arrive at our home for the night, a comfortable stone lodge on the western rim with fantastic views into the crater. This evening after the sun sets and we are sitting comfortably by a crackling fire, our thoughts will be on the crater and the unseen drama unfolding in the darkness below, on the hunters and the hunted, completing life's circle, as they have for thousands of years. Hugging the jagged Ngorongoro Crater rim, each of the rooms of this deluxe safari lodge has its own private balcony, offering uninterrupted views of the volcanic amphitheatre far below. The stone lodge features a grand hearth, where a fire is kept continually burning to ward off the chill of evenings on the rim. Arched stone passages lit by torches, timbered decks, and walls decorated with stylized prehistoric cave paintings evoke the essence of African history. Activity Overview: Full day game drive on the crater floor and into the Serengeti. This morning we rise early to be among the first on the crater floor. This is a magical time with the sun rising above the rim of the crater and the animals still active. We enjoy an extended game drive, with plenty of time for photography and to simply observe the interactions of the lions, cheetah, hyena, wildebeest, zebra, gazelle, buffalo and black rhinoceros. The sheer number of wild animals living in such close proximity is amazing. Making our way slowly across the caldera floor, which contains sweeping grasslands, lerai forest, a soda lake, and marshy wetlands, one has the sense of being in another time. The landscape is so primitive, the ecosystems so intact, that it is like taking a trip to prehistory. Coming upon a lone elephant, a beautiful giant with gracefully curving tusks quietly munching on the soft grasses, listening to him breathe, is something one won't soon forget. This afternoon we ascend out of the crater and make our way into the great plains of the Serengeti. Known as Siringitu to the Maasai, a word meaning 'where the land goes on forever,' the Serengeti covers 5,700 square miles of open grassland, acacia-dotted rolling hills, and rocky outcrops known as kopjes. It is home to millions of Earth's most impressive land animals, and one of the last great migratory ecosystems on the planet. Throughout the year, huge herds of wildebeest and zebra make their way from the southern plains, through the grassy woodlands, and into Kenya's Masai Mara, before returning to the south to begin the cycle again. Even during moments when we are not in the midst of the migrating wildebeest and zebra, we will be getting to know the Serengeti's other resident wildlife, including giraffe, buffalo, topi, hartebeest, waterbuck, impala, hippopotamus, elephant, crocodile, warthog, hyena, lion, cheetah, and leopard - just to name a few. This grand African lodge, set high on a ridge and commanding panoramic views across the Serengeti, offers a fusion of traditional African architecture and modern comfort. Centrally located adjacent to the famous Western Corridor and Grumeti River, the lodge has been designed to blend into the living landscape. A series of traditional domed rondavel-style rooms and swimming pool are scattered throughout the grounds, cooled by groves of acacia trees and sparkling streams. 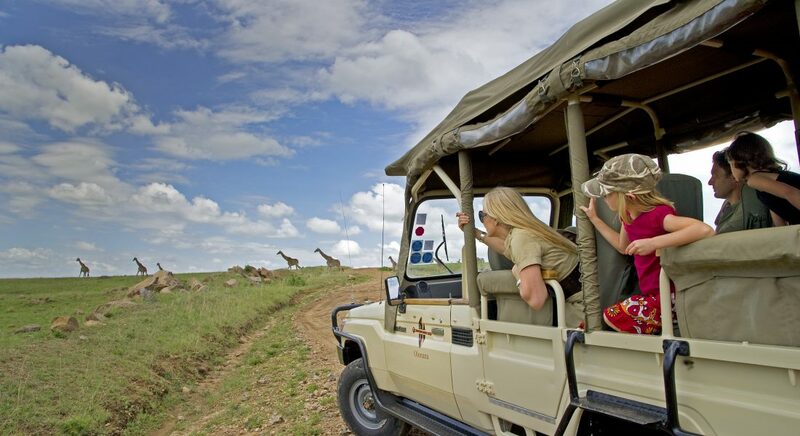 Activity Overview: Morning and afternoon game drives through the Serengeti plains. Optional hot air balloon safari. Today we'll enjoy morning and afternoon game drives in the area surrounding our lodge. The central area of the Serengeti is renowned for its abundance of game, especially big cats - including a substantial leopard population. For those looking for a different kind of adventure, an optional (at additional expense) hot air balloon safari can be booked for the early morning hours. Floating silently over the great plains and herds of animals is and unforgettable experience. The approximately one hour flight is followed by a champagne bush brunch, after which our guide will pick you up to enjoy the remainder of the day's activities - morning and afternoon game drives - before dinner back at the lodge. By now we each have favorite animals. For some it is the unflappable giraffe, standing with noble grace at up to 18 feet tall. For others it will be the herds of elephants, always protective of their young. Of course, for many it is the lions, confidently gazing from their sun-warmed kopjes, quietly planning what will be on the menu tonight. Activity Overview: Morning and afternoon (or full day) game drives through the Serengeti plains. Our final days find us making our home in a traditional luxury tented camp that moves seasonally to always be close to the Great Migration. Using our camp as our base, we spend these unforgettable days searching out the enormous herds of wildebeest and zebra as they gather in the southern plains to have their babies (December-March), make their way north through the Western Corridor and crossing the Grumeti River (April-July), or in the northern Serengeti on the banks of the Mara River (August-November). As the bush is always changing, we make our plans the night before based on where the best wildlife viewing will be. Depending on the days plans, we may take a picnic breakfast, lunch, or both. It is a treat to shake off the dust after a day in the bush, and enjoy a cool drink as the sun sets over the Serengeti. After sundowners by the campfire, we enjoy delicious meals prepared by the camps creative chef. Each evening we drift off to sleep in the comfort of our safari tents, in full-size beds with hotel quality linens, soaking in the magic of the Serengeti, with distant roars of lions and a sky full of stars. This well-appointed, updated take on a classic "campaign" tented camp moves seasonally, so that we are always close to the Great Migration in privacy and style. Ten spacious guest tents with comfortable beds, side tables, and a writing desk are scattered across a private, remote landscape. Ensuite bathrooms attached to each tent include shower, flush toilet, wash basin and vanity. There is also a dining and lounge tent with waiter service and a fully stocked bar. After breakfast we drive to a nearby airstrip, where we say good-bye to our naturalist guide and board our flight to Arusha. Seeing the Serengeti from above is an experience few others will ever have, and it is unforgettable. Upon arrival in Arusha, you will be met by a Boundless Journeys driver who will transfer you to a lodge where you will have a day-use room to rest and prepare for your evening international flight. A transfer to the airport, in time for your flight, will be provided. Boundless Journeys' trips are designed for energetic and flexible individuals who like to be active and have a spirit of adventure and a positive attitude. Great Migration Safari is rated 1, easy, on a scale of 1-5 (with 5 being the most strenuous). We combine camping and lodges as the base for our primary activity - game-viewing drives by 4WD vehicle. Depending on current conditions, there may be opportunities for optional guided bush walks, which can be enjoyed by anyone who is in reasonably good health. Upon arrival of your international flight to Kilimanjaro International Airport in Arusha on Day 1 of the trip. Kilimanjaro International Airport by 4 p.m. To accommodate our return from the Serengeti, please schedule your departing flight after 6 p.m.
Boundless Journeys' traditional Serengeti camp provides the ideal blend of adventure and comfort while exploring this remote wild area. The camp moves seasonally based on migratory patterns of the herds at each specific time of year, so we can always be close to the action. 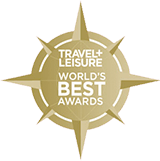 Amenities such as a wash basin and vanity, towels, soft bathrobes, full-size queen (or twin) beds, hotel-quality linens, writing table, and covered outdoor sitting area are standard. Electricity is available for recharging camera equipment and hairdryers are supplied. Camp life is relaxed and comfortable. Upon returning from the day's game drive in the afternoon, there is time to wash up, rest, read, write, or chat with your guides and each other over a drink. As evening falls a campfire is lit, and the camp chef prepares dinner. If the weather is particularly fine we may dine al fresco, surrounded by torches, or we may dine in the dining tent. Either way, our table is set with linens and fine dinnerware, silverware, and glasses. Unforgettable full and half-day game drives are the primary activity of Boundless Journeys' Tanzania safari. On most days, we will depart our lodge or camp early and spend the morning tracking various animals in our custom-built, 4WD safari vehicles. Each day is unique and unpredictable - which is why our guides say never put away your camera, even on the way to the airstrip! Drives may last from a few morning hours to a full day. Sometimes we will take a picnic lunch, and other days we will return to the lodge or camp for lunch. As we come upon groups of animals, we allow plenty of time to simply observe and also take photographs. Our guides are experienced naturalists and will add greatly to your understanding of the wildlife. We keep a respectful distance - although the same cannot always be said about the animals; it is not unusual to come nose-to-car with baboons, zebras, wildebeest, gazelles, and elephants! The weather in northern Tanzania is generally pleasant, though the equatorial sun is strong. It can also rain at any time, but chances are higher during the months of April, May, June, November, and December. In the Ngorongoro area, evenings and early mornings can be chilly, and dressing in layers is a good strategy, so that you can shed or add layers as the day heats and cools. Our safaris coincide with important times in the annual migrations, as well as take advantage of other significant animal activities and weather patterns. 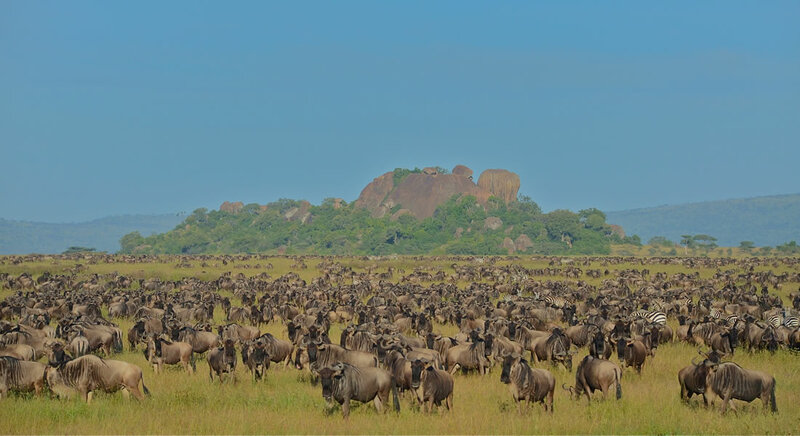 December-March: The herds have typically arrived in the southern short grass plains of the Serengeti by now, and tens of thousands of wildebeest have their babies over the course of just a few weeks. A safari at this time of year will certainly offer sightings of enormous herds of wildebeest, along with all of the other African wildlife one would expect. June-July: Large herds are on their way north, migrating through the Western Corridor and across the Grumeti River. If you are lucky, we may witness herds crossing the Grumeti - while this can't be guaranteed, a safari at this time increases your chances. August-October: The large herds are generally in the north and have scattered around the northern Serengeti, as well as crossing back and forth over the Mara River into Kenya's Masai Mara. If you are lucky, we may witness herds crossing one of the large northern rivers - truly a sight to behold. Even when large herds have migrated into the Mara, there are always many left in the Northern Serengeti, and far fewer people than on the Kenya side of the border. Other times: We suggest avoiding November and April through the first half of May, as those months comprise the rainy seasons in Tanzania. 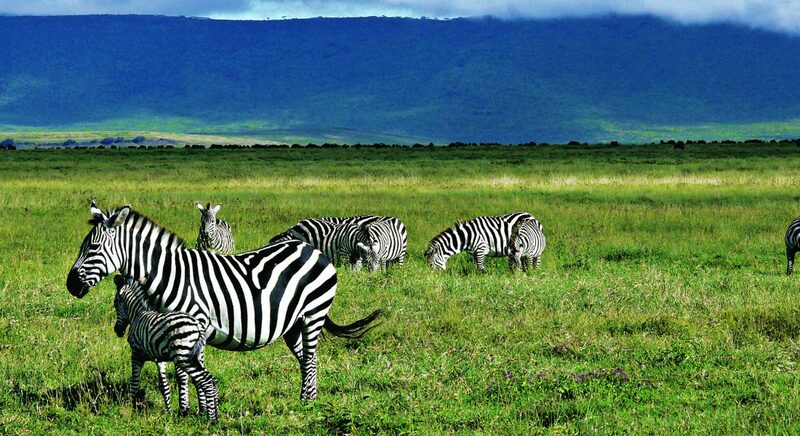 Outside of those months, there are great reasons to visit Tanzania at any time, and no matter when you choose to go, you will see more elephants, giraffes, wildebeest, zebras, gazelles, buffalos, hippos, ostriches, baboons, and lions than you can keep track of. If you are interested in organizing a private safari for your own group of family or friends on the dates that work for you, please contact our office at 800-941-8010 to discuss our custom safari options. In the permanent camps and lodges, continental-style cuisine is served, although there is often an Indian or traditional African influence (curries, for example, are popular, or chicken stewed in tomatoes and coconut milk). Breakfast and lunch in the lodges are often served buffetstyle, while dinner is á la carte. Meals in safari camps may be served family-style, and Tanzania's talented bush chefs blend traditional African dishes with more familiar fare. Vegetarians can be accommodated with advance notice, though choices tend to be more limited. Born near Tarangire National Park, Wilfred’s childhood was filled with the sights and sounds of Tanzania’s rugged bush. This early introduction to wildlife helped to define his dream to become a naturalist guide and introduce travelers to the part of Africa he calls home. Wilfred has enjoyed sharing his passion for Africa’s wildlife with guests since 2006. In addition to Swahili, he speaks French and English. His personable and fun nature, along with his wealth of knowledge, have brought guests back to Tanzania time and again. Game drives on occasionally bumpy terrain.